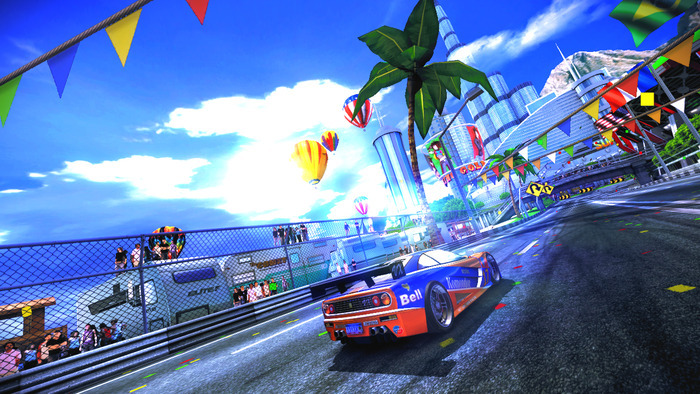 The 90’s Arcade Racer Teased For Wii U? Classic arcade racing in glorious HD. The 90’s Arcade Racer Kickstarter page received an update this morning with a possible tease. The project creator Pelikan13 stated, “Since the project went live there have been some very exciting developments that I can’t talk about yet but the game could be heading for the TV. This is not a one person project anymore and I hope U Wiil stay tuned for more news. In the meantime I’ve added a couple more screenshots on the main page :)”. Oh Pelikan13, you sneaky devil, I see what you did there! “U Wiil” looks a lot like “Wii U” rearranged and with a “l” slapped to the end of Wii. As a refresher, The 90’s Arcade Racer is a nostalgic throwback to the arcade style racing games responsible for gobbling up your quaters. Be sure to check out the trailer above, and keep your eyes peeled for more updates via Pelikan13’s Kickstarter page. Former Contributor- Arik (yes, it's with an "A") is an aspiring video game journalist and professional monster hunter. He joined Operation Rainfall in January of 2013 and has been following since the Xenoblade days. His gaming obsessions include Uncharted, Secret of Mana, Chrono Trigger, No More Heroes, and Bioshock.